You must make reservations at least 5 minutes in advance of the time at Fuad's Restaurant. Fuad's Restaurant offers guests a fine dining experience. Its inviting setting is wonderful for date night with that special someone or catching up with an old friend over lunch. Fuad's Restaurant operates without a menu, allowing guests to tell the chef exactly what they want, which is then cooked to their specifications. This establishment does offer specials, such as veal chops with Italian style potatoes, Key Lime shrimp with lobster and crayfish bisque. It also has desserts like the popular flaming bananas foster. Fuad's Restaurant features a wine cellar with an extensive selection for guests to choose from and it serves classic cocktails, as well as other beverages. This establishment also hosts events throughout the year. Charged us $160 for two appetizers. Tried to tell us 8 desserts were free. We know we absolutely paid for those. No menu equals them charging you anything you want. Ive been there twice now and have been delighted both times. The ambience is great and really sets the mood for an intimate dinner. The dishes were incredible and the cocktails were on par. I would definitely recommend this place to anyone looking to get a bang for their buck. This place used to be very good. Last night it was merely mediocre. The service was terrible, the food was comparable to any 3 star restaurant. The visit from the chef was completely rushed and not at all unique. Very disappointed. This was my third visit to Fuad's and this time I chose to celebrate a friends birthday there. This was his firt visit and he was very pleased with the food, the ambiance and the idea of no menu and no prices. Very enjoyable. 5 stars in each category doesn't do this place justice. If you're a foodie, this is a foodie's heaven! Great service. Great food. Great pours on cocktails. You have to have the bananas foster. Incredible dinner. It’s a very over priced restaurant, food is below average, awful service, bathroom is dirty door is broken, will never visit that place again. Some of the best seafood gumbo I have had in a long time. Fish was excellent. Bananas Foster only OK. Went for Houston Restaurant Weeks. The appetizers, crab bisque and mushrooms with crab were the only dishes I woukd recommend. The wedge salad had minimal blue cheese crumbles and no blue cheese dressing. 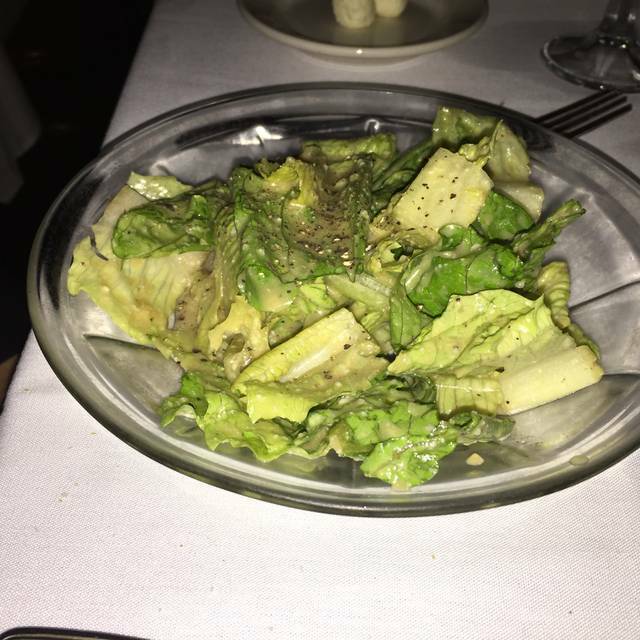 My "ceasar salad" was basically a house salad with ceasar dressing. It had bell peppers, tomatoes, hard boiled egg, and some type of cheese, not parmasean. I saw ceasar salads being prepared table side. I'm sure that was not on the special menu, but what was served was NOT ceasar salad. Duck entree'ok. Fillet was tough. The vegetables sreved on a plate to be divided by two, were not good at all. Bananas foster for desert was ok. The service was good until the restaurant got crowded, then was spotty. The restaurant was so dark we had to use our table candle to see the food. Enjoying restaurant week with my husband. Fuad is a great local restaurant where the staff seem to know all their customers. Oddly the restaurant has no menu, so I'm thankful for the restaurant week menu. Our 4 course meal was very good. Cesar salad made fresh tableside as well as the bananas foster prepared and flambéd at our table for dessert. Great live piano music. Don’t go if you are in a rush. Service is slow in a good way. Listen to the guy at the piano while you enjoy your meal. Super personable, great food, and great price. They are super accommodating to special diets and make dining entertaining. Houston Restaurant Weeks! We had a wonderful time. I wish they would have shared the history and background of the restaurant, but the food was wonderful. We have been frequenting this restaurant for many years....Consistency is the Key for this place. We love it !!! 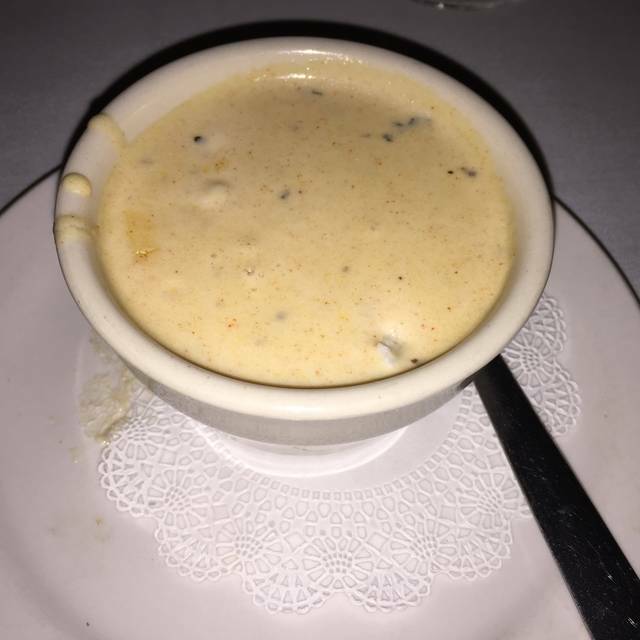 The Lobster Bisque is to die for. The Best in the South.....maybe in the country !!!!! Salute to the Executive Chef, he makes the magic happen there!!! Drinks are fenomenal!!! Love the Ole School Piano Entertainment Ambiance!!! Pull up a seat and stay awhile !!!!!!!!!!! We had heard many good things about Fund's and decided to try them during Houston Restaurant Week. I was disappointed. My entree was dry and the appetizer was bland. My wife however enjoyed her meal. Loved how the chef came out to talk to us about the food. Wonderful experience. The no menu concept is fantastic! The best kept secret in Houston! It’s been around forever !! Super old school Houston and so romantic! Food is outstanding JR is amazing and the staff is incredible !! Been going to Fuad’s for 15+ years. The non menu experience with some of the best recipes and fresh food around make the place unique. Excellent wine selection. Piano is lots of fun. Highly recommended! The food was outstanding! 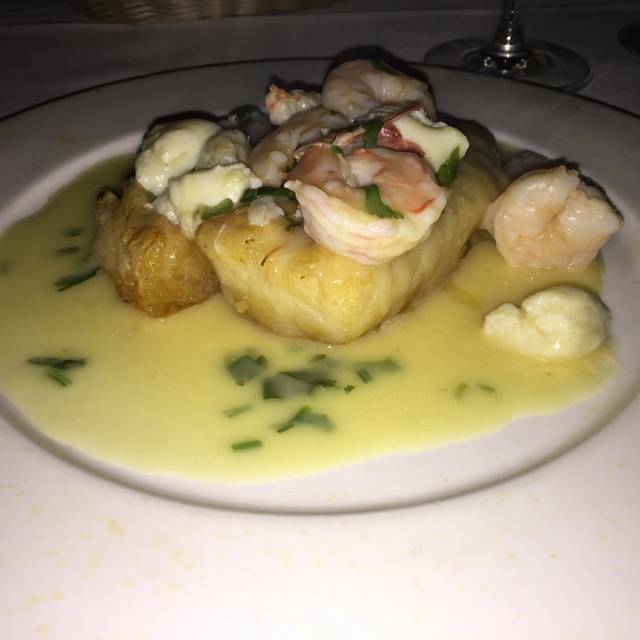 Prime filet with cognac sauce, grilled lamb chops, snapper with shrimp and Chilean sea bass with crab meat, all cooked to perfection. All this, followed by delicious flaming Bananas Foster! 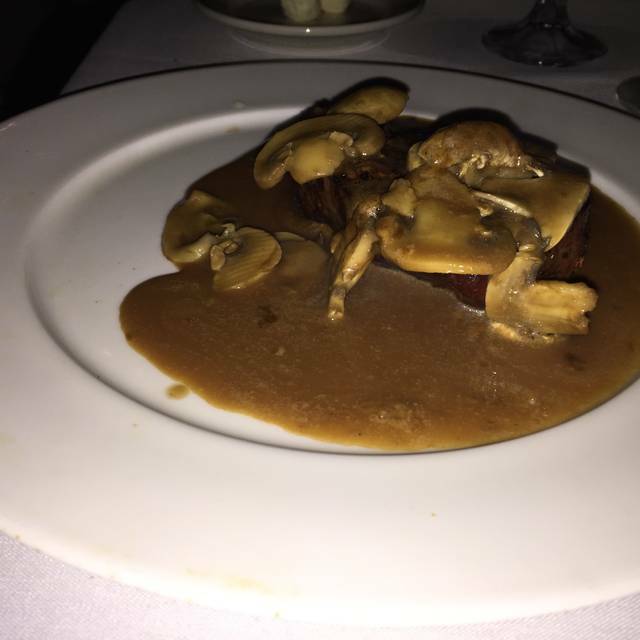 Food was overrated, as there is no menu or price information, I believe they take advantage of it, we had a steak which was "okay" but definitely was not worth 48$, also there was an insist for refilling the drinks which were very pricy too. The ambience & music was very good but overall it was not great. Really fun place with excellent food. No menu but the chef comes out and tells you what he can make for you and you can pick and customize whatever you like. Piano bar goes all night and there is a large group of what I assume are regulars hanging out. But it’s not so noisy that our party of four couldn’t converse comfortably. Lamb chops are a specialty and were delcious simply grilled. A platter of vegetables and potato was served for the table. Others in our group had shrimp scampi, seared scallops and were very pleased with their food. Intimate restaurant where the chef asked us what we wanted to eat. There is no menu. However we came for restaurant week, and everything was delicious. The table side made Cesar salad good. I especially liked the table side made bananas foster. At 8 pm they have a live pianist. A great place to eat and relax. Be prepared for the dark. Fuad' a small dark place, but don't let that scare you away it turns out that is all part of the experience. Food and service were excellent. Second time visiting this restaurant. First time was outstanding. Seeing it participated in Houston Restaurant Weeks we went again. We were so disappointed! The bartender must be new as he made a terrible Cosmopolitan. 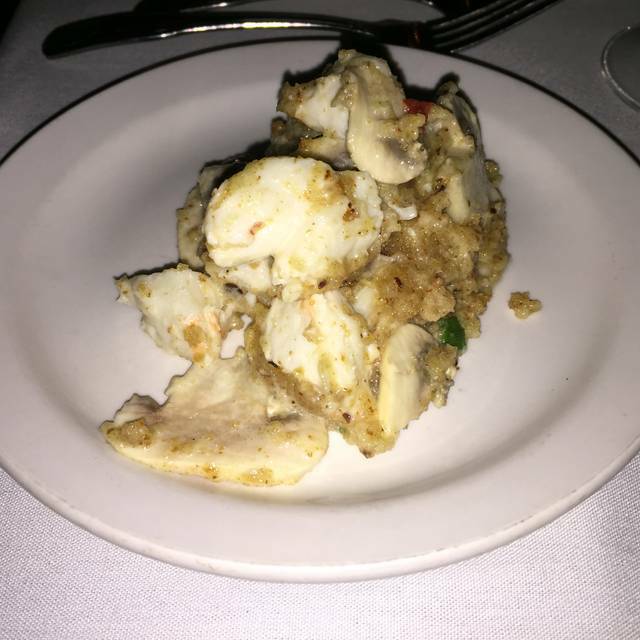 The stuffed mushrooms was a mound of tasteless breaking topped with slices of mushrooms. The grouper was blah and my husband said the lamb shank was terrible. The Bananas Foster was delicious. I will give them another try as I had never seen them participate in HRW and perhaps they overextended themselves. One of my favorite all time restaurants. Consistently fantastic food. Don't go in a hurry. A very relaxed pace to enjoy the phenomenal food. Highly recommend the quail appetizer, lobster bisque, seabass, and bananas foster but you can't go wrong with anything they prepare.